Strengthen the faith of all people. Equip them with spiritual armor. Inspire them with new courage. Live for Christ as stewards in God’s creation and Community. Every Summer hundred of people of all ages gather at Luther Crest for various camps. 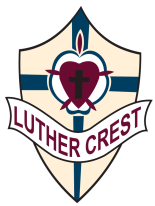 Bethlehem supports Luther Crest in prayers and financially. We have had Bethlehem youth go on to be counselors at Luther Crest during the summer months. We highly encourage all kids and adults to find a camp and attend. To register for camp, sign up on the Luther Crest website.